Imprese nobili, et ingeniose di diversi prencipi, et d’altri personaggi illustri nell’arme e nelle lettere. Le quali, col disegno loro estrinseco, dimostrano l’animo, et la buona,o mala fortuna de gli autori loro. Con le dichiarationi in versi di m. LodovicoDolce et d’altri. PITTONI, Battista. DOLCE, Lodovico. Imprese nobili, et ingeniose di diversi prencipi, et d’altri personaggi illustri nell’arme e nelle lettere. Le quali, col disegno loro estrinseco, dimostrano l’animo, et la buona,o mala fortuna de gli autori loro. Con le dichiarationi in versi di m. LodovicoDolce et d’altri. Quarto (273 x 200 mm. ), engraved allegorical title within architectural frame by Giacomo Franco, 72 engraved etchings by Battista Pittoni (most of them signed with the monogram B.P.V., Battista Pittoni Vicentino) and Girolamo Porro including the dedicatory emblem to Emanuele Filiberto, Duke of Savoy. 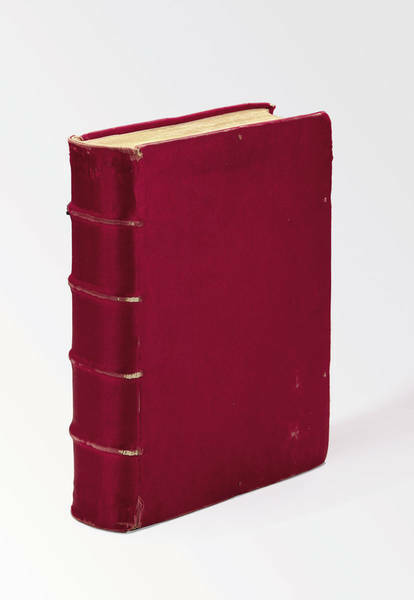 Contemporary limp vellum with manuscript title on spine. 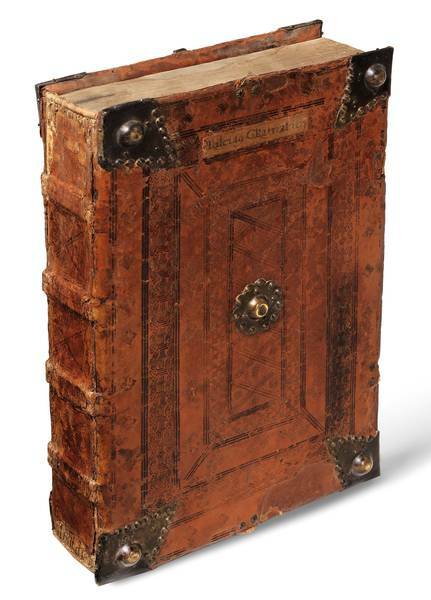 A very fine copy from the library of Renato Heardo (inscription to title date 1628). 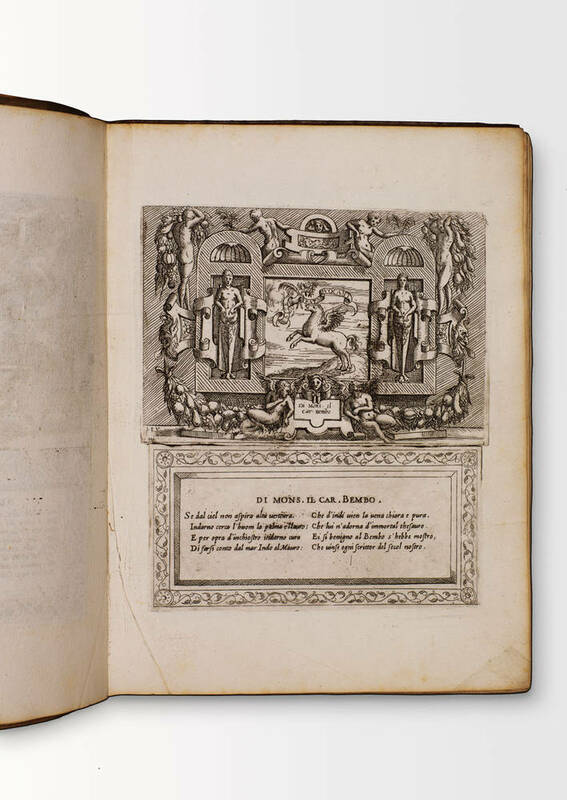 Fifth volume of Battista Pittoni and Ludovico Dolce’s celebrated Imprese, a milestone in the history of the impresa books, that is, books showing symbolical representations “of a purpose, a wish, a line of conduct […] by means of a motto and a picture which reciprocally interpret each other” (Praz 1933). Battista Pittoni (ca. 1520-ca. 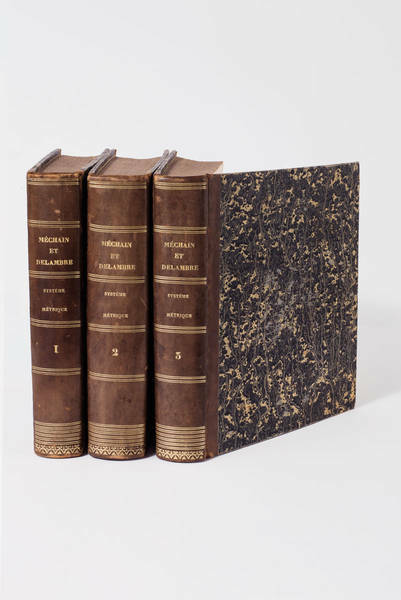 1583) was a Vicentine painter, miniaturist, engraver and etcher; his books of Imprese were the first contributions to emblematics by a painter and were splendidly produced (“the most splendidly illustrated volumes of imprese” in John Landwehr’s words [1976: 156]). 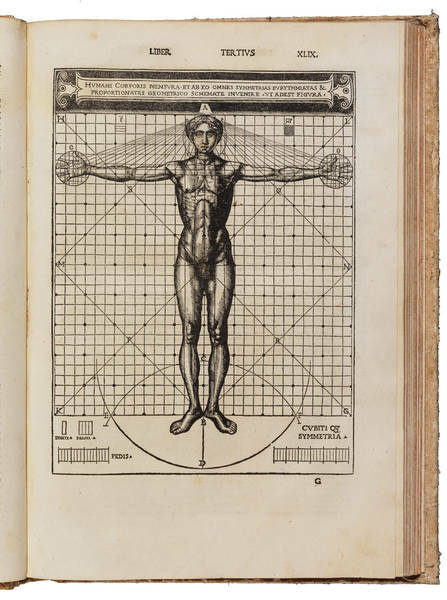 Ludovico Dolce (1505- 1568) was a Venetian polygraph, a writer, and a poet, who primarily worked as an editor for the Venetian printer Giolito de’ Ferrari. Pittoni and Dolce must be considered co-authors of the work: although neither of the two was responsible for the inventions of the imprese (which, instead, are to be ascribed to their bearers), the iconographic elements and the decorative frame occupying the upper half of each sheet are Pittoni’s work; on the other hand, Dolce is the author of the verse commentaries in ottava rima on the imprese, which most probably are his interpretations of the images and mottos each time presented. 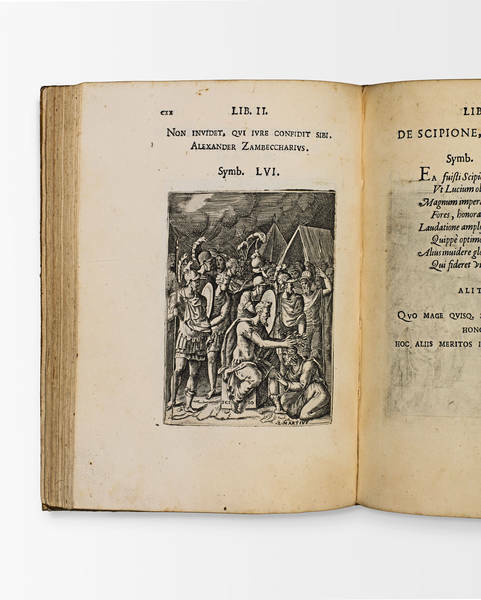 The 1583 edition can be compared to the previous one, that of 1578, due to their substantial homogeneity in terms of subject matter and typographical format. 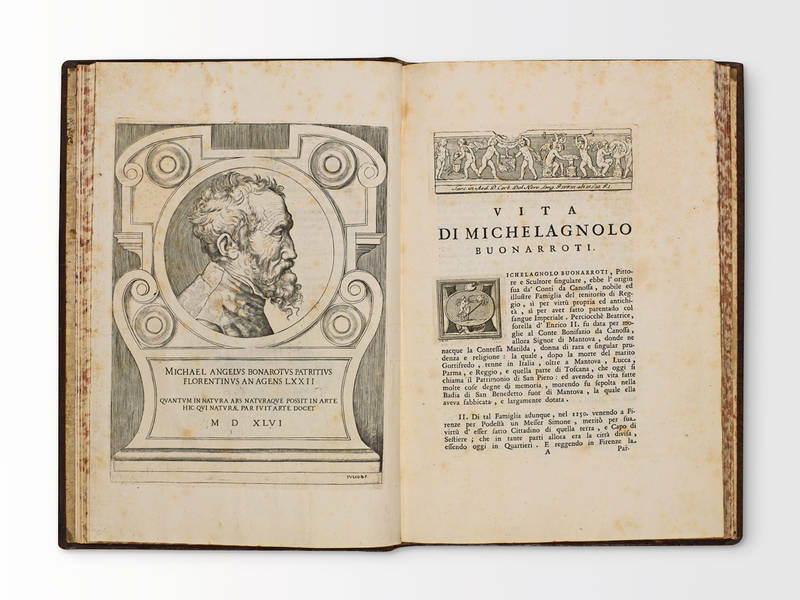 They were both printed about two decades after the first volume appeared (Venice, 1562), when Dolce had already died and Pittoni was in the last few years of his life. 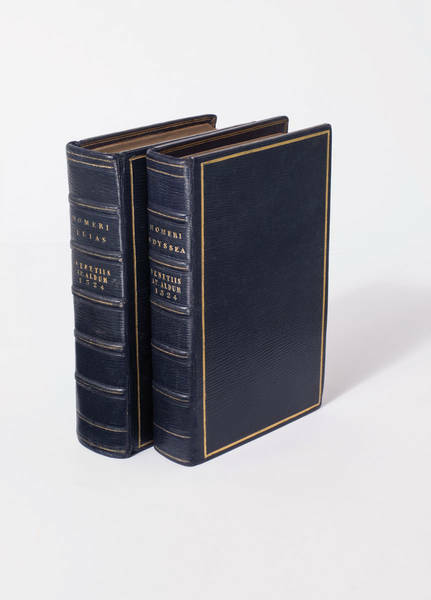 Many (45) of the illustrious personalities represented in the first three editions are here excluded, while some new impresa bearers are added; in this way, the arrangement of the volume, which eventually encompasses 67 or 71 portraits (depending on the copy), changes drastically. 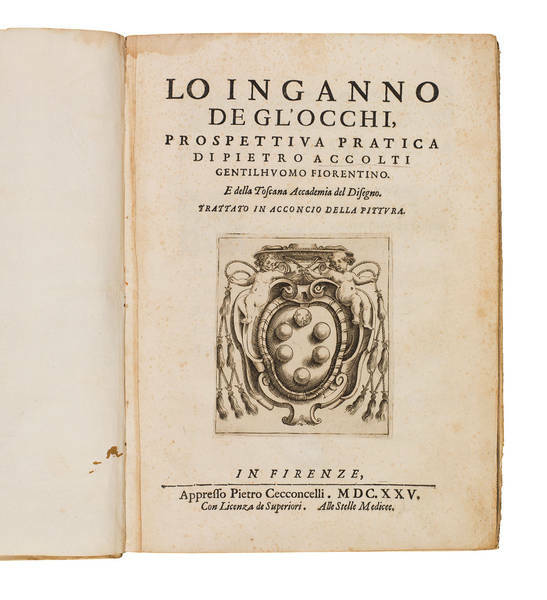 The 1583 edition, issued by Francesco Ziletti, lacked the dedicatory letter and the mention of Girolamo Porro, despite the fact that Porro was the author of a small group of new engravings and that he had readjusted part of Pittoni’s etchings. 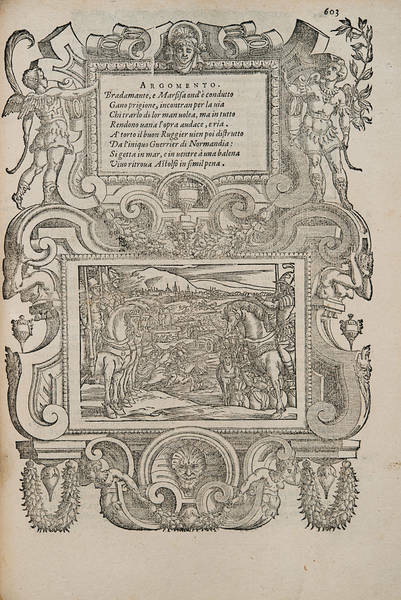 Quite different is the case of the plate dedicated to Francesco Turchi, where the engraving adopts an innovative format with respect to those chosen by Pittoni and Porro: the way in which the frame is conceived and the presence of the family emblem under the impresa are comparable to the illustrations of the first edition of Girolamo Ruscelli’s imprese. 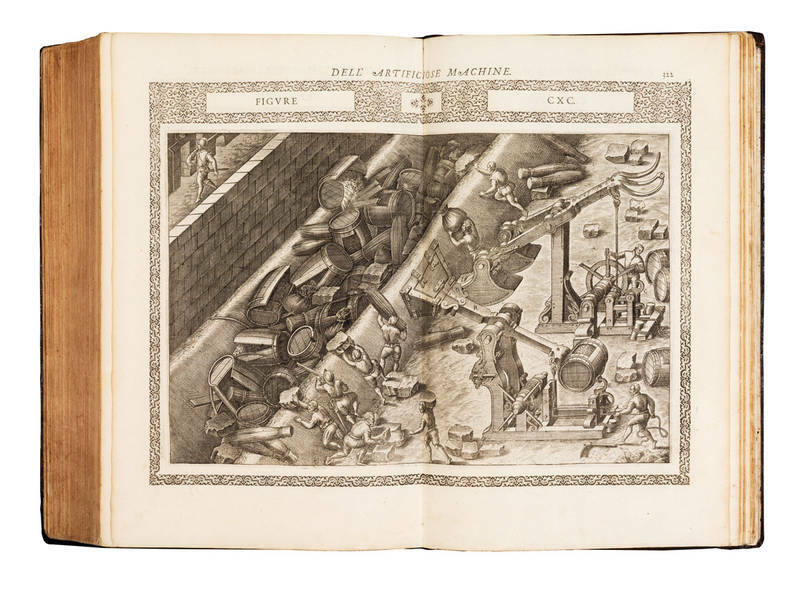 Such a formal assonance between illustrations included in different works – and in works in competition with each other – underscores the pervasive osmosis between contemporary engraving laboratories and typographies (Parlato 2016: 516). 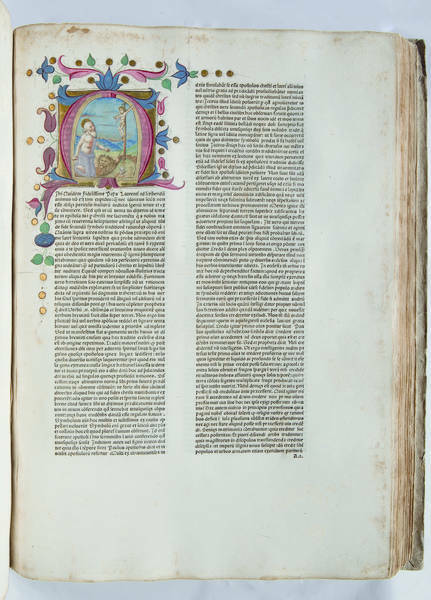 The significance of Pittoni’s small imprese books should not be enclosed within the narrow boundaries of emblematics and iconography. 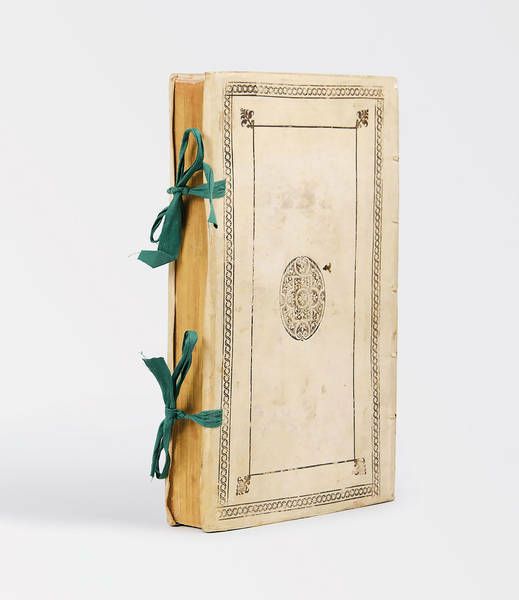 Far from that, they are a work of art and a document of social history, as they “reflect the social, cultural, and political history of the sixteenth century, especially as seen from an Italian perspective, but with openings to Europe beyond the Alps. 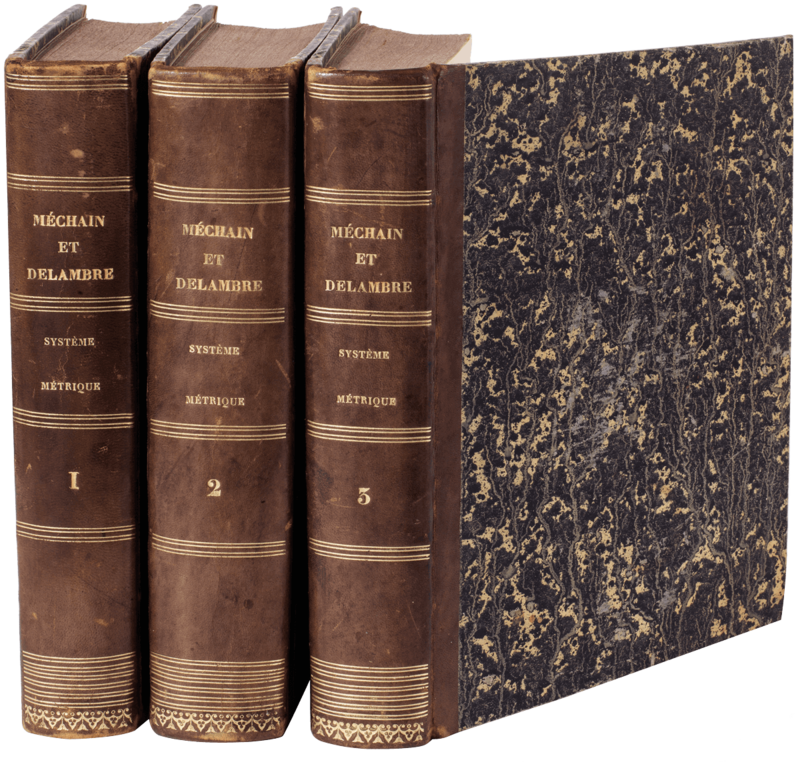 The imprese themselves may be seen as self-images of their bearers which through the medium of the impresa book are broadcast to a contemporary public, or publics, in a form of self-representation […]. As a form of public representation, imprese often communicate, if as ‘through a glass darkly’, personal information about the bearers, affording views of the bearers that go beyond the conventional parameters of their public identities” (Davies 2009: 11). 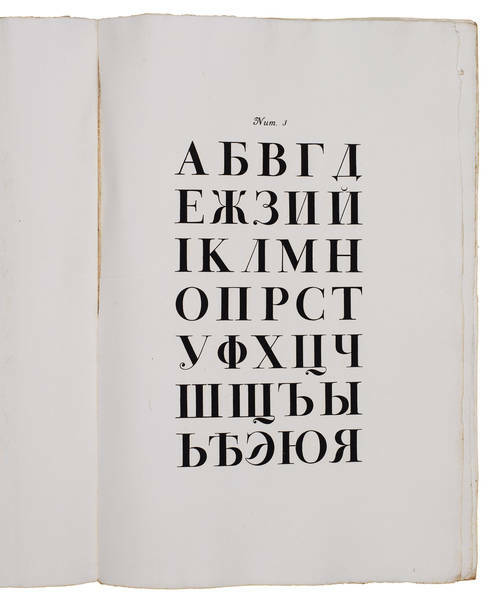 Cicognara, 1938; M. Praz, s.v. 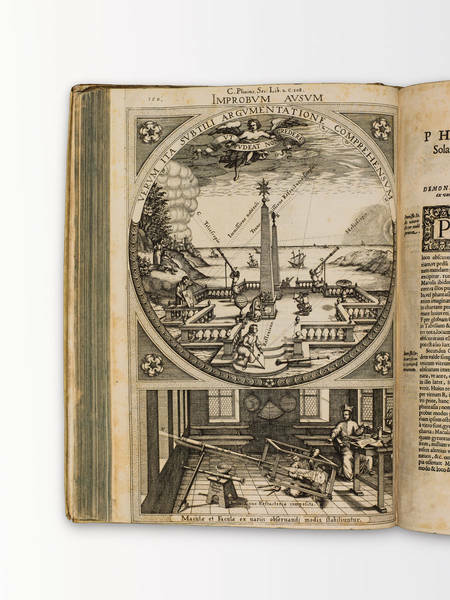 ‘Impresa’, in Enciclopedia Italiana, 1933; J. Landwehr French, Italian, Spanish and Portuguese Books of Devices and Emblems, 1534-1827: A Bibliography, 1976: 608; C. Davies (ed. ), Battista Pittoni und Lodovico Dolce: Imprese di diversi principi… Ein digitales Faksimile (Kommentaar, Indexing und E-Texten), 2009; E. Parlato, Tornei di carta. Osmosi, dialogo e agone nelle Imprese di Lodovico Dolce e di Battista Pittoni, 2016, 505-568.